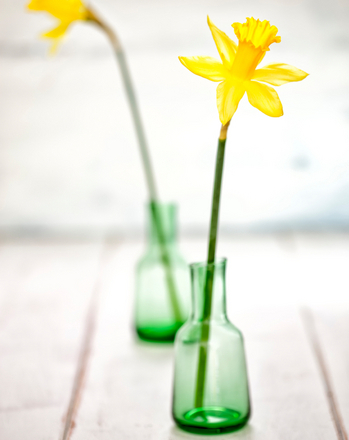 Spruce up your indoor or outdoor garden with a decorative hanging glass vase that’s flowery and fabulous! 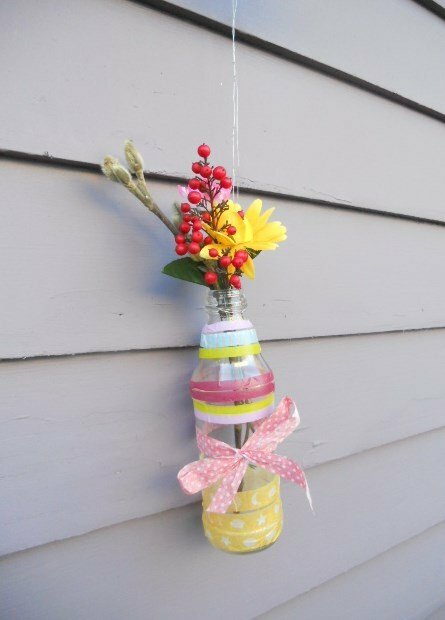 A wonderful way to welcome spring and indulge in a little creative expression, this hanging vase craft puts kids’ creativity right on your front porch or window. 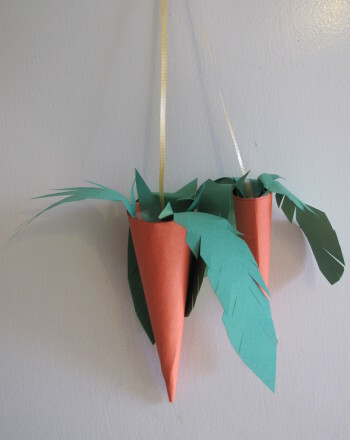 Use it as weekend activity, or turn it into a lesson on how plants live and grow. Provide your child with a clean, empty glass bottle. 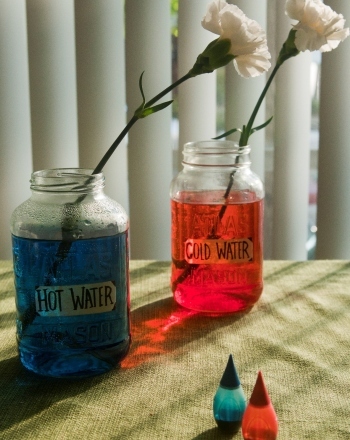 Soda bottles work well for this activity, but you may also use juice bottles or, if you can find one, a glass milk bottle. It’s up to your child to choose how to decorate the bottle. 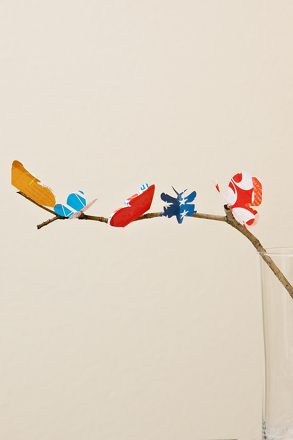 Any easy way to dress it up would be with washi tape, (adhesive craft tape in various colors and widths, available from craft shops), but she can also use markers or paints made to work on glass. If she’d like, she can sketch a design on paper first, and then transfer her vision to the glass. 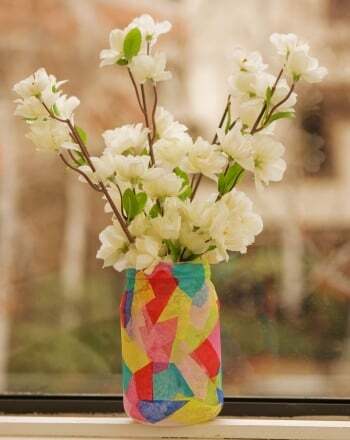 When the other decorating is completed and the paints or markers have dried, she can tie a pretty ribbon around the glass vase if she chooses. Help your child use wire cutters to cut a length of wire about three feet long. Have her wrap the wire several times around the top of the glass bottle, under the lip of the bottle. After several wraps, help her twist the ends of the wire near the bottle so that it holds the bottle tightly. The remaining wire will be used to hang the glass vase. Use two ends of the wire stretched up vertically and attach the ends of the wire if desired. Two pieces of wire should be strong enough to hold the glass. 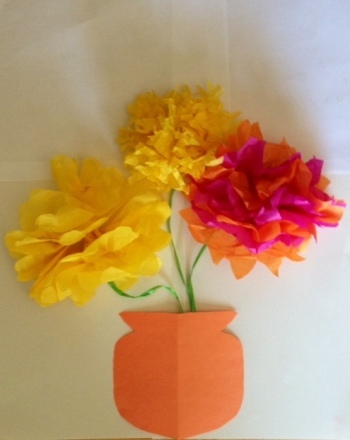 Now she can find some nice flowers with stems to place in the vase. She can use as many as will fit! 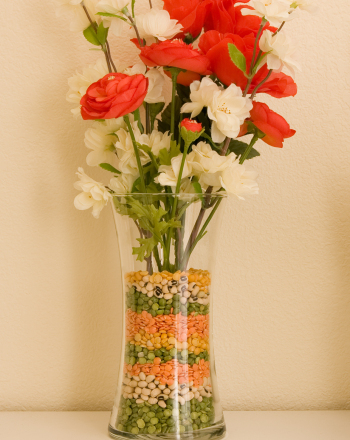 Add water inside the bottle for the flowers, hang the vase, and enjoy the view! 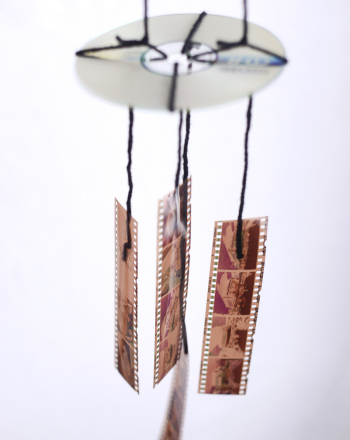 Capture the past with this photo mobile that turns old photo negative strips into hanging art! 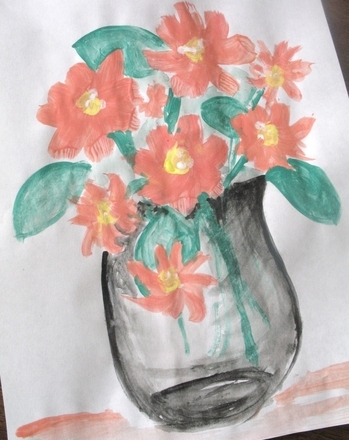 Kids paint a still life of a vase of flowers using colors found side by side on the colour wheel, just like Vincent van Gogh's Sunflowers.